Fedora 12 which is scheduled to debut this November has some of the best features ever. Like all it's previous releases, Fedora has always included cutting edge technologies. 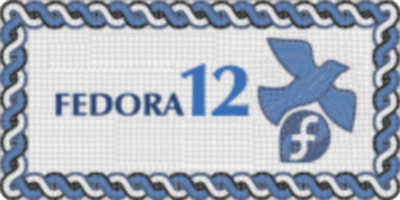 In this article we will have a look at 9 awesome features that Fedora 12 has. Fedora Studio aims at classifying multimedia applications into subgroups for easy access. Subgroups already in the plan are Multimedia / Sound&Video, Capture&Import, Creation, Mixer, Output Generation and Tools. This is basically a PackageKit enhancement that lets you install packages directly from websites, in a secure way, rather than telling users to run various yum commands as the root user or describing how to use the PackageKit tools. The PackageKit-browser-plugin package actually installs a browser plugin that can be used to install specified software. This functionality allows command line users to automatically install missing commands, or to suggest spelling replacements. The package PackageKit-command-not-found makes this possible. Although the package is available for Fedora 11 but is not installed by default. This functionality is available in Ubuntu by default. Fedora 12 has even better support for both external and built-in (Laptop) web cameras. It now supports more WebCam models. You can view the testing list of web cams here. We have reported previously about the new features in Empathy and it's inclusion in Fedora 12. And those who want the good old Pidgin instead can see this. Fedora 12 now has better support for Display Port connectors. As the name suggest, Fedora 12 has even better Power Management schemes. You can read more about it here.